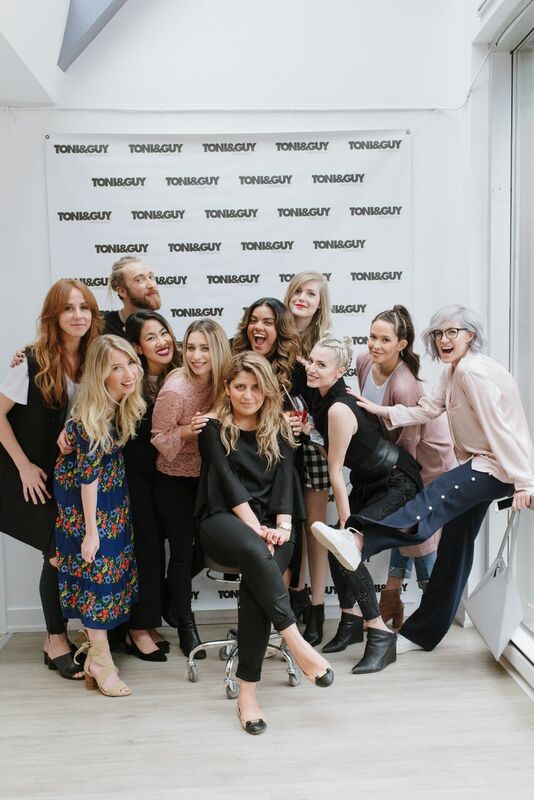 The other day I had the opportunity to stop by Toni & Guy’s newest location on Queen St W.
Ever get a hair style that’s made you feel like the girl you were always meant to be? Because that’s exactly how I felt after my last visit with Toni & Guy. With a team of specialized hair stylists, sushi to order and a private rooftop patio… experience a blow dry and cut like never before. Over the past few weeks I've been getting ridiculously bored with the same old hair style, so vamping up my look was exactly what I needed. I asked my stylist Tayna to give me something funky; A few braids, maybe a bun? And she did me better... After a quick 20 minutes I had 4 french braids leading up to two top knot buns and honestly, I finally felt like ME! As a 2017 Toni & Guy Ambassador be sure to stay tuned for cool new hairstyles, how to treat hair for blondes, braiding techniques and more. Be sure to book your appointment today, if you have any questions about the services offered comment below or reach Toni & Guy here.